BBA (Biochimica et Biophysica Acta) is the most comprehensive and dynamic set of international life sciences journals. Discover the range of grants, sponsorships and awards our BBA titles offer. For example, BBA and Elsevier are proud to be the exclusive sponsors of the Otto Warburg Medal, the most prestigious prize in Germany for biochemists and molecular biologists. Got an idea for a sponsorship opportunity? We’d love to hear from you. Dr. Ulrich Brandt is Professor at the Nijmegen Center for Mitochondrial Medicine and Editor-in-Chief for the BBA portfolio. Read Dr. Brandt’s profile and find out more about the Executive Editors of the specialized BBA journals. BBA is a set of international journals, encompassing biochemistry, biophysics, molecular biology, cell biology, genomics, bioinformatics, metabolomics, proteomics, systems biology, and clinical studies. Find out which journal can boost your research. BBA offers you the option to publish papers open access. 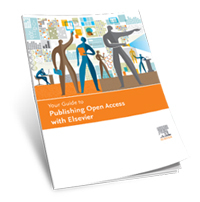 All articles published open access will be immediately and permanently free for everyone to read and download from ScienceDirect. Permitted reuse is defined by your choice of Creative Commons user licenses. Get the latest BBA news, special issues, discounts, content innovations & more!